There is more conflicting rumors about the iPhone 5 or the iPhone 4S or maybe the 4G release. No one's actually quite sure yet. Many Apple fans hoped that the company's CEO, Steve Jobs, would make them a surprise and introduce iPhone 5/4S at WWDC (Worldwide Developers Conference). But he did not. He introduced some useful improvements in iOS 5 and Mac OS X Lion, but has not mentioned anything about the launch of the fifth-generation iPhone. The Apple iPhone 5 (or 4S) has not made an appearance at WWDC 2011 but it hasn't stopped people talking. The latest rumor, reported by Macotakara, suggests that the next iPhone won't be a significant departure from the company's iPhone 4, and the major changes will come in the form of an ARM Cortex-A9 based processor, an 8 megapixel camera, won't require a SIM card, and will be "world phone" capable. Apple has been working on a successor of the A4 processor in iPhone 4 and iPad. If rumors are to be believed, the new multi-core processor has been allegedly considered faster than the predecessor. The successor was rumored to be based on the Cortex A9 design and features the coveted multiple cores. Gone are the days when you get frustrated about the battery and performance since the A5 processor will take care of that for you. The iPhone 5 is believed to have undergone an upgrade in its graphics and video processor otherwise known as IGPU. Apple's market has been consistently focusing on media in their release specifically on video and apps. Since the iPhone 5 is going to be released with a new processor, it boosts the iPhone 5's media capacity. The iPhone 5 has been one of the hot topics discussed not only among tech enthusiasts but also among consumers and followers of Apple iPhone. 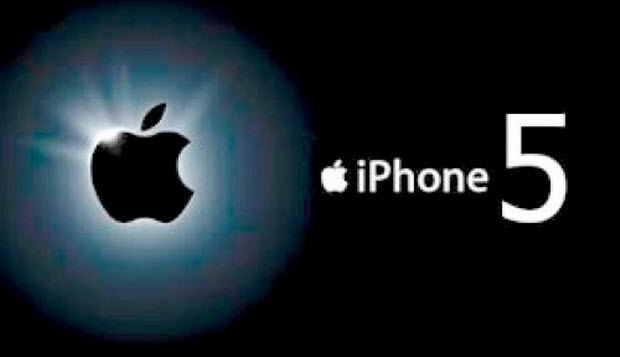 Several predictions on the iPhone 5 release date and rumors about the specs on an hourly to daily basis, but the Apple iPhone 5 release date is still a question. Curious about new apple products 2015? This article guides you to view the upcoming Apple future products 2015 including iPhone 7/6S, Apple Watch, iPad Air 3, Retina iMac and more.